The skater first started his love fest with the actress last week, when the Big Little Lies star declared him her number-one reason for tuning into the games. In the end, Rippon went on to earn one of the highest honors achievable by man on Sunday. 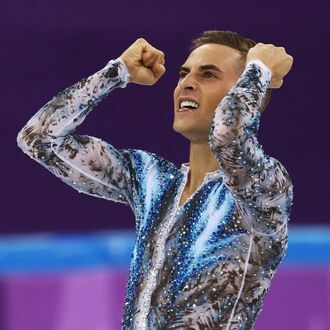 Oh, and also he helped the USA bring home a bronze in the team-figure-skating event.